Fr. Varghese Kunnath, the resource person for the workshop highlighted about the general misconceptions on diversity, behaviour, patriotism, communal hatred and social conflict. He challenged the participants to step out of comfort zones by exposing themselves to the realities, which pose threat to oneself and all over world and further motivated the students to stand up for truth and create a sense of responsibility among them to bring change in the society through their transformation. The workshop also highlighted on the issues and conflict caused due to false rumours or half-truth. Fr. Varghese stimulated and highlighted the position of a teacher and their importance to make young leaders set the right goals for better future. The role of the teachers in the conduct of peace club meetings in their schools was also discussed at length during the workshop. 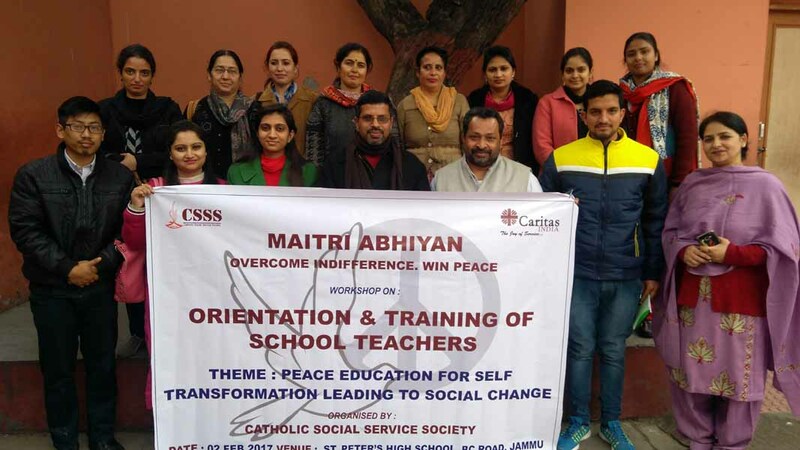 The program concluded with teachers and students sharing their views and took vows to change their ideas and to become change makers to build a Peaceful Society.